Where One Road Leads is a most enjoyable heartwarming story that hits all the right spots with me. I appreciate that, for the most part, Ms Hebert doesn’t make it easy on herself and her characters. This story is sometimes a bitter pill to swallow because it can be heartbreaking while at other moments it makes me sigh and go, “Awwww!” After all that is said and done, I can only say that this one leads me to a very nice place indeed. Looking madder than hell, Matt’s hands clenched into tight fists that were paper white against the navy blue of his uniform. In contrast his cheeks were florid. The other day he’d been annoyed. Now he was ready to exchange some words. Krista forced herself to look away from him. She’d been waiting for this. Relieved the moment had finally arrived, she’d be damned if he’d get the satisfaction of knowing he rattled her. “I’m setting up my office,” she replied dryly. Well, she didn’t intend to make it easy for him. Over the past years she’d found a talent for tucking away her nerves and showing a calm, cool façade. “Don’t get cute with me, Krista,” he growled. He shut the door and stalked toward the desk. Matt paused in front of her. She didn’t glance at him, but kept him within her vision. She busied herself with opening an envelope, praying that her hands weren’t shaking. It seemed Matt talked more to himself than to her so she didn’t reply. Looking up from the papers on the desk, she took the opportunity to study him. He didn’t resemble Jay at all. Jay had been tall and lanky, with dark shaggy hair and stunning blue eyes. He’d been a jeans and T-shirt kind of guy, the one who’d refused to go to senior prom because he wouldn’t wear a tux. He’d been wild and so full of life. Matt’s energy was more bound up inside him. She could see it, bristling from him like it wanted to burst free but he wouldn’t let it. His fists were still in tight balls at his sides as he stared out the window. A good three inches shorter than Jay, Matt’s build was far more muscular and he filled out his uniform very well. If he’d been any other man, Krista would be attracted to him. Men in uniform hadn’t much been her thing. A man like Matt, though, could definitely persuade her otherwise. Matt was the last man she wanted to be attracted to. They were little more than enemies. No, he thought of her as an enemy and worked on ways to eliminate her from his life. Matt paused and glared at her, animosity hard in his hazel eyes. She didn’t shrink from the glare. She met it steadily, her chin up and with defiance. Krista drew air deeply into her lungs and expelled it slowly. 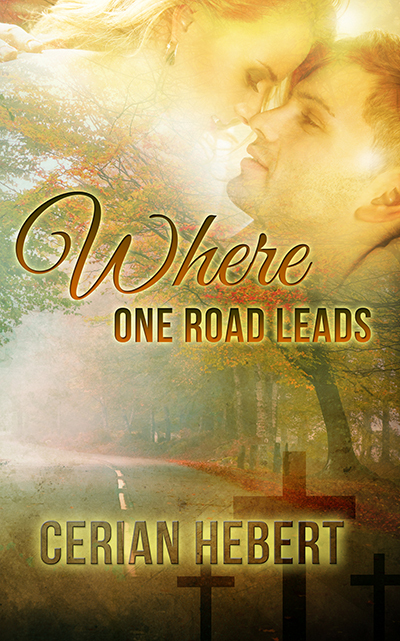 WHERE ONE ROAD LEADS is available on Amazon for 2.99! Grab your copy HERE!